24 photos of the railway and of shipping and sights on the River Dart. 7827 Lydham Manor, Kingswear, Sun 2 September 2012 1 - 1249. The Manor brings in the 1215 from Paignton. 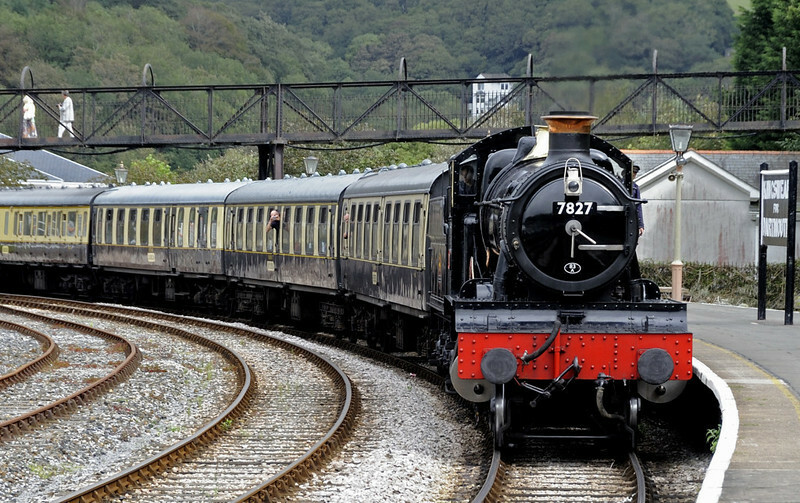 The railway is owned and operated by the Dartmouth Steam Railway and River Boat Company. It is a purely commercial operaton. All staff are paid employees, there are no volunteers.